CTO of NTENT & Northeastern University at SV, California, USA. Ricardo Baeza-Yates areas of expertise are web search and data mining, information retrieval, data science and its associated algorithms. Since June 2016, he is CTO of NTENT, a semantic search technology company based in California, USA. Before he was VP of Research at Yahoo Labs, based in Barcelona, Spain, and later in Sunnyvale, California, from January 2006 to February 2016. He also is part time Professor at DTIC of the Universitat Pompeu Fabra, in Barcelona, Spain, as well as at DCC of Universidad de Chile in Santiago. Until 2004 he was Professor and founding director of the Center for Web Research at the later place. He obtained a Ph.D. in CS from the University of Waterloo, Canada, in 1989. He is co-author of the best-seller Modern Information Retrieval textbook published by Addison-Wesley in 2011 (2nd ed), that won the ASIST 2012 Book of the Year award. From 2002 to 2004 he was elected to the Board of Governors of the IEEE Computer Society and between 2012 and 2016 was elected for the ACM Council. Since 2010 is a founding member of the Chilean Academy of Engineering. In 2009 he was named ACM Fellow and in 2011 IEEE Fellow, among other awards and distinctions. Faculty of Computer Science and Mathematics, Director at Bremen Spatial Cognition Center, University of Bremen, Germany. 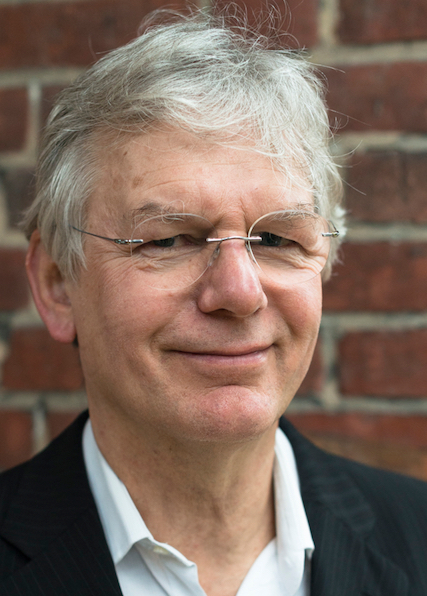 Christian Freksa is Research Professor of Cognitive Systems at the Faculty of Mathematics and Informatics, University of Bremen, Germany, where he directs the Bremen Spatial Cognition Center (BSCC). Being a pioneer developing cognitive intelligent systems, his research concerns representation and reasoning with incomplete, imprecise, lean, coarse, approximate, fuzzy, and conflicting knowledge about physical environments. Particular emphasis is on qualitative spatial and temporal reasoning and on the use of spatio-temporal structures in spatial cognition. Freksa received a PhD in Artificial Intelligence, Cognitive Science and Bioengineering from UC Berkeley, USA, under Lotfi Zadeh. Before joining the University of Bremen he carried out research at the Max Planck Institute (post-doctoral Thyssen Fellow) and the Technical University of Munich (Assistant Prof. and Head of AI/Cognition Lab) , the International Computer Science Institute in Berkeley, and the University of Hamburg (Professor of informatics). From 1996 to 2014 he directed national research initiatives on Spatial Cognition supported by the German Research Foundation (DFG). Freksa was the Chair of the DFKI Scientific Advisory Board and he is a member of the Advisory Board of the Spatial Cognition and Computation journal and a Fellow of the European AI society EurAI since 2005. Manager at Accenture - Financial Services, Barcelona, Catalonia, Spain. Carlos Merida is a manager in the Technology Advisory group of Accenture - Financial Services, where he leads digital transformation projects mainly in the area of Project Portfolio Management optimisation (PPM), IoT and Blockchain.He is risponsible of identifying bussiness oportunities for new technologies. 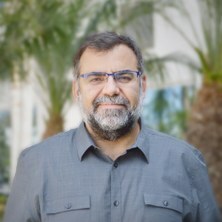 Computer engineer by the Universitat Politècnica de Catalunya - BarcelonaTech, with an artificial intelligence research background, he developed a PhD. thesis in the Artificial Intelligence PhD programm (also at UPC), based on simulation tools and experiments in the area of game theory and automatic negotiation. He was a researcher in the Hewlett Packard Labs of Bristol working on topics of equilibria in automatic multiparameter negotiations. 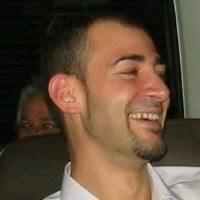 Techchnology Transfer Coordinator and Business Development group founder for the Barcelona Supercomputing Center. He has solid skills in project management participating in near to ten FP7 european projects, leading the organisational support tasks for the PRACE Research Infrastructure on High Performance Computing. He has participated in the start-up process of 3scale networks, as well as in the development of other innovative business concepts. The start-up 3scale was adquired by Red Hat in 2016. He is continuously tracking innovation in the technology area, and monitoring the evolution of trends. His goal is to leverage this knowledge, and innovation skills to drive challenging plans to success while continue building a solid profile in business management. He has extensive experience in project working, with more than 10 projects of business in the sector of sports, real estate, energy, etc in his background. Specialities: innovation, project management, business development, communication, teaching, research, system design, web services, apis, blockchain. ICREA at IBE - UPF/CSIC, Barcelona, Spain. Luc Steels is research professor at the Catalan Institute for Advanced Studies (ICREA), working at the Institute for Evolutionary Biology (IBE - UPF/CSIC) in Barcelona. In the seventies, he studied linguistics at the University of Antwerp (Belgium) and computer science at MIT, specializing in Artificial Intelligence under Marvin Minsky. After his studies he first worked in the application of knowledge-based AI for industrial expert systems at the geophyiscal measurement company Schlumberger (in the US and France). In 1983 he returned to Europe and founded the Artificial Intelligence Laboratory of the Free University of Brussels (VUB) which quickly became one of the pioneering labs in Europe in the nineteen-eighties, pushing advances in knowledge technologies, neural networks and genetic algorithms, and behavior-based robotics. 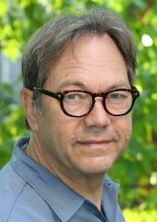 In 1996, Steels became founding director of the Sony Computer Science Laboratory in Paris, a laboratory which became known for highly innovative research in the domains of grounded language, music and sustainability. In 2011 he joined ICREA, focusing on using the concepts and methods of evolutionary biology to understand how language originates and adapts. With the recent surge in the application of AI he became concerned about ethical issues and organised in 2017 a B-debate on AI which lead to the Barcelona Declaration for the Proper Use and Development of AI (www.bdebate.org/en/synopsis/page/3-barcelona-declaration). Besides his work on science and technology, Steels is also active in the arts, particularly in musical opera composition with libretto’s written by Barcelona neuroscientist Oscar Vilarroya. His first opera Casparo about the singularity was premiered at the Palau de la Musica in 2011 (as social event of IJCAI) followed by performances in Paris, Tokyo, Brussels and Leuven (Belgium). His second opera Fausto about digital immortality and mind uploading was shown in avant-premiere at la Gaité Lyrique in Paris and at the Théatre La Monnaie in Brussels before the premiere in Leuven may 2017.